Writing for SEO is something many writers dread, because it’s a term associated with bad writing tactics like keyword stuffing. (SEO tips, SEO tips, read this for lots of great SEO tips! Classy, right?) Instead, writing for SEO truly starts with researching. By changing up our thinking and using search as a way to better understand our audience, we’ve managed to double our blog traffic in less than a year. SEO strategies change very often (too often, if you ask me), partially because Google changes all the time. So what worked a few years ago is now irrelevant. In the past, it was all about keywords, and where they were placed on and off your page. Of course, the technicalities of SEO such as keyword research, Alt tags, URL structure, meta description, link building, and header tags still matter. But, now it’s all about how much value your content is providing people. Google has made changes to make sure that the content ranking on its first page is more valuable and relevant to their users’ search intents. In this post, I’m going to share with you insider tips on what we do here at Hootsuite when creating content with search in mind. These SEO tips have helped us double our blog traffic and have helped us learn more about creating better content for our audience. You create content to be read by people, specifically your customers. So when you do, think about what kind of questions people are asking in the search engines. Then create content that answers those questions. To understand what kind of questions your customers or potential customers are asking, create buyer personas based on real data on your existing customers and market research. Doing this will allow you to really understand who your audience is, and solidify the kind of content you need to create to resolve their pain points. Using Buzzsumo to know what kind of content receives lots of social shares, which is important to know because social media aids SEO. Going on forums like Quora to understand what kind of questions are being asked, and what kind of answers are being posted to those questions. Doing a Google search to see what kind of content are showing up in the SERPs, then digesting the types of content and how the content is laid out. Monitoring relevant hashtags in Hootsuite to see what kind of content is posted together with that hashtag. Asking our customer support and Social Media Coach team what kind of pain points our customers experience, and ways our customer support teams deal with those pain points. After completing this stage of research, I then do my keyword research. 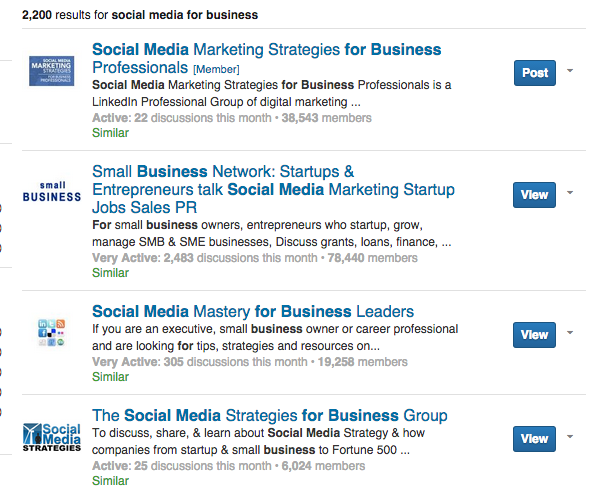 There are two ways I use this research to guide my keyword research: competitive intelligence and keyword validation. For competitive intelligence, I grab the URLs of the content ranking on the first page of the topic I’m interested in writing about, and I put them into SEMRush to see what kind of keywords those content pieces rank for. For keyword validation, I use Google’s Keyword Tool to validate the keywords I want my content to rank for, in order to see if they have the search volume that warrants a content piece. Think of search engine robots as a five-year-old learning to read for the first time. When writing content that is search-engine-optimized, the content is important, but so is the layout of the content. Just like a five-year-old, pictures really grab the search engine’s attention; adding images to your content will help your content be easily digestible, but you can make it even easier for the search engines to digest your content by using descriptive Alternate tags. Breaking up your paragraphs with bullet points and headers will also make your content easier to read. Creating content that is easier to read and skim can help convince your readers to hit the social share buttons on your page, therefore increasing promotion of your content—which is key to SEO. Make sure that your keywords are present in your headers, and used in the same context as the keyword you’re trying to rank for. If you’re stuck on what to write about, look back on your old content that performed well when it was initially published. Sometimes these older content pieces just need a simple headline, image, or content layout refresh. Use your old content to link back to new content, and, vice versa, use new content to link back to old content. 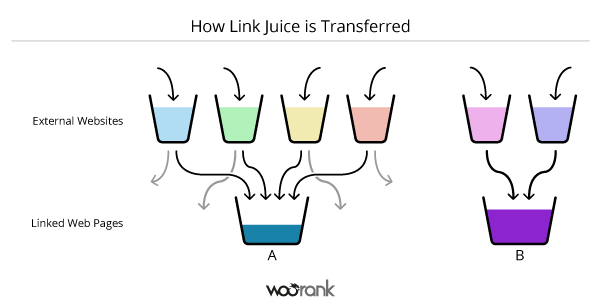 Internal linking will help you disperse the flow of link juice. Make sure to also re-promote your old content on your social channels. Which leads me to my next tip…. When SEO, social media, and content marketing all work together, magic happens. With Google using Twitter to discover new content, promoting your new and old content on Twitter will help Google index your content in its SERPs. But content promotion doesn’t just start and end on Twitter; use different types of social media channels to promote your content. For example, if you are writing about “social media for small business,” look for LinkedIn Groups and Google+ Communities that are relevant to that topic and promote your content there. This will trigger the search engines to take note of the trust you’re garnering, because the more social shares and traffic your content receives, the more it validates the quality of your content, making it seem more relevant to the search engines. My nerdy side wants to admit that this is my favorite part because this is where you really get to analyze and review how your content is performing. This is the time where you can make adjustments to improve your search engine ranking, content promotion, as well as make updates to your content to improve its SEO. Tracking and reporting on your content will also help you take note of what kind of content does well or doesn’t do well in the search engines and on social. I do this on a monthly basis to see which posts are driving more organic search traffic, what keywords we are ranking for, as well as which posts are receiving more social shares. I then take this data to create more content that will (hopefully) replicate or improve the kind of results we received the previous month. I hope these SEO tips gives you a little more insight into how a brand like us is writing content that Google is looking for. We are constantly looking for ways to improve our process and how we can learn more about our audience. If you have anymore tips that have worked for you, we’d love to hear them in the comments below! Want to stay up to date with content like this? Subscribe to our blog newsletter today!